In April 2018, I had the privilege of attending The Open Group conference in London with the theme: The TOGAF® Standard in 2018. After seven years, we see the release of the latest version TOGAF Standard 9.2. As a member of the English translation team for the TOGAF Standard Version 9.1, I have learned the difference in the new version and had a lot of thoughts. On the one hand, many improvements in the new version are highly consistent with the knowledge and practical experience of the Aviation Industry Group in the field of architecture method. On the other hand, the active development and continuous improvement of the knowledge system reflect that the architecture method has huge demands and driving force at the practice level. There is still a big gap between Chinese and international applications in this respect. This article attempts to understand and share this updated version from the perspective of application. In addition, I hope that Chinese practitioners can get inspiration and confidence from these changes. 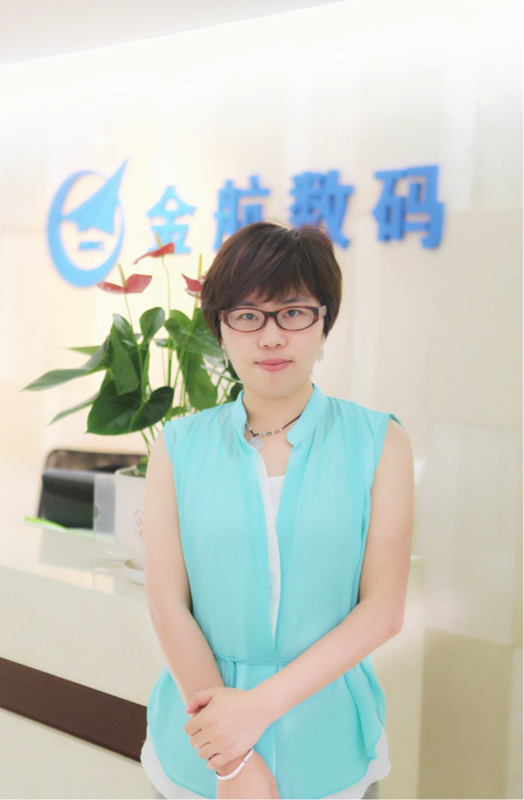 The introduction of the EA concept in China is completed by IT professionals. The initial application scenario is mainly the IT planning work of large-scale enterprises, or the design of major software systems. The TOGAF standard itself is imprinted with the theme of enabling business capability innovation with Boundaryless Information Flow™, which makes the public often see the IT design results directly over the method when they look at the architecture. The first problem encountered by the Aviation Industry during the translation of TOGAF 9.1 is how to understand the scope of the framework, and the basic issues, such as the meaning of ‘Enterprise’. In the latest two versions of the TOGAF standard, the illustration below is both an interpretation of the relationship between TOGAF components and an explanation of the value of the architecture. In the illustration, the left side is the business vision and driving forces, and the right side is business capabilities based on the organization, processes, and tools as the typical carriers. Architecture development is precisely the capability construction path for the organization to design how to achieve the mission vision. From this perspective, strategic reflection and digital technology enable redesign of the business all are important contents of architectural design. In fact, no matter for the information system or the construction of a certain facility, the design and construction of all subsystems must be considered and defined in a real background system. In the TOGAF 9.2 version, the emphasis and description on the application objects and areas of the architecture method are significantly improved, which is reflected in several respects. First, the meaning of the Enterprise and its operating model are particularly emphasized at the beginning, indicating that Enterprise can be any collection of organizational objects that have a common goal. It can refer to a company, or a collective name for several departments surrounding a work, or a government agency or department, or an industry alliance, etc. It is consistent with the original intention of the Aviation Industry translating it as a complex organization. For the complex organization, the first important step of architectural design is to accurately convert its strategic intent into a series of operating models, and comprehensively guide the construction of individual capability in various areas. Secondly, in the complex organization meta-model, the three elements, namely business capability, value flow, and action strategy are added. Correspondingly, in the development method, a large number of business architecture products are added to the vision development and business architecture phases, and the phase goals and content are adjusted too. For example, the “implementation framework tool” step in the original preparation phase is adjusted to establish the strategy and implementation plan design for the organizational skills and tools used to achieve the goal at the organizational level. Based on the author’s practice, it will greatly reduce the course swings and strategic changes in the process, and help present the design results and effects, if, in the early phase of the organization’s ambitious promotion of architecture work, scanning the organization’s internal management environment, management habits and culture, developing practical promotion method/technique/key plan and tool plan and reaching the agreement with the relevant person in charge. In the TOGAF 9.2 version, the term Digital Transformation is mentioned several times. In the new round of scientific and technological revolution, the most dazzling thing is not the tremendous innovation and progress of information technology as a specialization, but the penetration of information technology into various business domains, which creates subversive changes in the business process and service model through the digital form of the business. It is actually the defining reason why the digital transformation has increasingly become the global focus of various organizations. 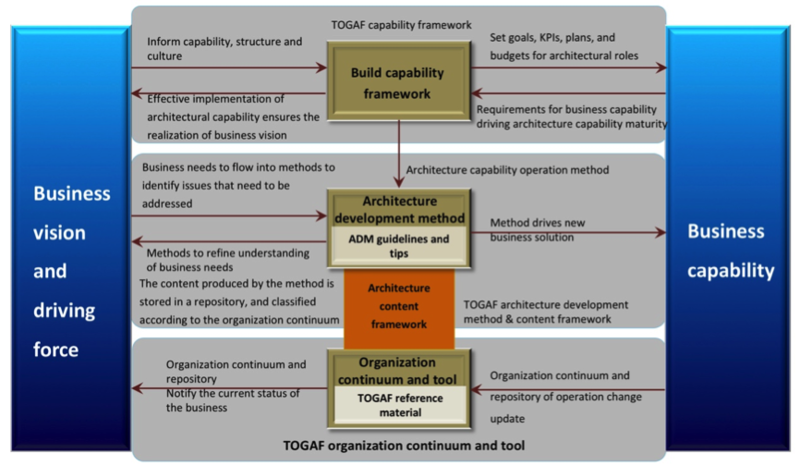 It is also the reason why the TOGAF framework as a representative architecture method is particularly concerned today. EA is a collaborative design method of technological elements and management elements based on the recognition of organizational complexity, that is, the enabling method of “deep integration of the informationization and industrialization” in foreign countries. Due to the abstraction of business design and the “soft science” nature of IT technology, the transformation of this technology enablement can not be rapidly verified as those assured physical changes in the electrical era. It puts emphasis on the process of virtual logic design, simulation and physical change, and verification iteration. Therefore, higher requirements are placed on the integrity of guidance method and the comprehensiveness of practice guidance. In the TOGAF 9.2 version, on the one hand, the difference and connection between logical design and physical design are highlighted. For example, on the basis of previous ABB and SBB concepts, it is clear that the architecture asset library not only includes the results of complex organizational architecture design, but also the solution architecture adopted during architecture implementation to establish a comprehensive information management environment from logic to physical. On the other hand, in the output of each development phase, the output and management results are more emphasized in the form of structure blocks. The loosely-coupled design pattern promotes the flexible configuration of business functions, business behaviors, and supporting technologies based on capabilities and requirements, and supports reuse. At the same time, it promotes configuration management of various resources at the physical implementation end to provide more space for solutions satisfying multiple capability construction, and supports mapping management and continuous maintenance from capability goals and requirements to architecture design, solution selection and construction. In addition, there are many detailed adjustments in the new version. For example, the “platform service” layer with obvious software thinking in the technological architecture is adjusted to be a more generalized “technical service” layer. These contents will be more applicable to the fusion expression of emerging technologies and architectures such as the Internet of Things and artificial intelligence, and will prompt various organizations to adopt this method to support comprehensive and in-depth digital transformation. In this update, the most obvious change is the cancellation of the reference model chapter. It is included in the TOGAF Library. In the Aviation Industry’s architecture practice, when we talk about the reference model, we use the TRM model provided as an example to prompt the organization to think more about the outstanding business models and technologies that can be fully utilized or collaborated in the architecture design. In this model, the original contents of the reference model and external mature architecture frameworks, such as security architecture and SOA applications, are all included in the TOGAF Library. It helps the user to establish the independent and coordinated understanding between the method, the organizational practice, and the mature model. In the ongoing process of architecture governance, the organization should also constantly understand its own architecture assets and outstanding models. At the same time, it should pay attention to expressing and summarizing external advanced management models such as risk management and quality management to promote mutual integration, provide guidelines for reuse and application extension within the organization. In this update, a large number of architecture pattern and architecture method integrations in specific areas proposed by The Open Group, such as the IT4IT™ and O-BA™ standards, also provide reference for users to better use the standards. The above three points are the summary of the update from my personal point of view. At the London conference, what impresses me most is the participants’ deep understanding of the architecture concept and their pursuits in the practical transformation. We should let the methodology go down the altar, should follow the methodological guidance for work, and should gradually establish confidence in work, which is the practical spirit that is most needed in the China’s application of the EA method. The Raytheon company’s practice sharing in business architecture and IT architecture at the conference reflects its striking consistency in the selection of tools, techniques, and paths with the Aviation Industry’s practice methods. This also proves that the common methodology applied in similar organizations will inevitably have a strong convergence force, promote the standardization of consensus and method. I hope that more Chinese organizations practice the framework, generate excellent architectural models in specialized areas, lead the development of the industry, and have more “Chinese voice” during the development of the international architecture methodology. For the Chinese version of this blog, please click here. Cheng Yan is the Chief Architect of Aviation Industry Information Technology Center, Level I expert of aviation industry, expert of Informatization Planning & Architecture Group and participant of translation of TOGAF® 9.1 Chinese version; she has been engaged in research on aviation industry architecture implementation methods, business process management and informationization promotion work for a long time; she’s the technical director of unified IT architecture promotion of aviation industry and joint work group leader of AOS CoE of aviation industry, boosting the implementation of in-depth integration of informationization and industrialization from architecture to process at the level of Aviation Industry Corporation of China and many important affiliated manufacturing enterprises, with in-depth experience in integration of theoretical methods with practices.